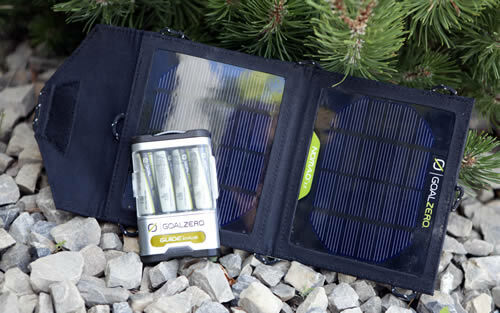 We have previously reviewed an iPhone case with a solar charger equipped, but Goal Zero decided to take it a step further by providing me with their Guide 10 Plus Solar Kit.The contents of this kit consist of the Guide 10 Plus battery pack with four AA rechargeable batteries and Nomad 7 solar panel to charge the battery pack. 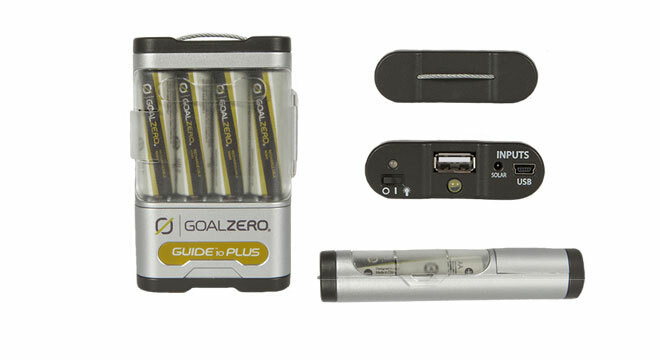 The Guide 10 Plus Solar Kit is the smaller of what Goal Zero has to offer and that is not to say that it lacks the ability to keep you up and running without power, it just means that it keeps your rechargeable AA and AAA (not included) batteries, tablet, e-reader, phone, compact audio devices, and more. I will be reviewing each of the two components of this kit separately, starting with the Guide 10 Plus Recharger, so let’s get to how this tech survivor kit holds up. The Guide 10 Plus seems like a step backward in terms of portable power, but having the ability to remove the rechargeable batteries in devices that are not rechargeable but require batteries and easy to replace the batteries should they stop holding a charge. 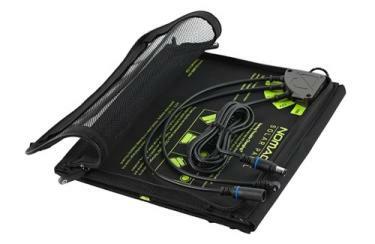 What I particularly liked about the Guide 10 Plus was that it was easy to charge without sunlight via the Nomad 7 and once fully charged, you can use the AA batteries in gaming controllers when you are not roughing it, USB output to charge mobile devices, or use the pack as an LED flashlight. It is a bit confusing to tell the remaining power when charging but luckily there is a cheat sheet included on the back of the kit. Lastly, the kit includes an adapter to house house rechargeable AAA batteries should you opt to spend the additional $14.99. The Nomad 7 is the real stand out piece of the kit, especially when using in Arizona in the summer time as it worked perfectly. When my phone was directly connected to the Nomad 7 solar panels, it started charging immediately and was continuously charging while using my phone and was not losing a charge while doing so. There are loops surrounding the panel to strap to a backpack while hiking or riding and also folds up nicely to take little space in any bag. There is a pocket on the back to store the Guide 10 Plus and cables so the kit is ready on a moment’s notice. When charging while parked, included is a 12v cigarette adapter to use chargers from the solar panel without draining from my car battery. At first I was pretty apprehensive regarding the Guide 10 Plus Solar Recharging Kit, mainly because I was unaware how effective solar charging technology is and the fact that the Guide 10 recharger stored the power on four rechargeable AA batteries. Being that the kit’s use was in Arizona during summer, it actually outperformed my expectations across the board in terms of size and capabilities. 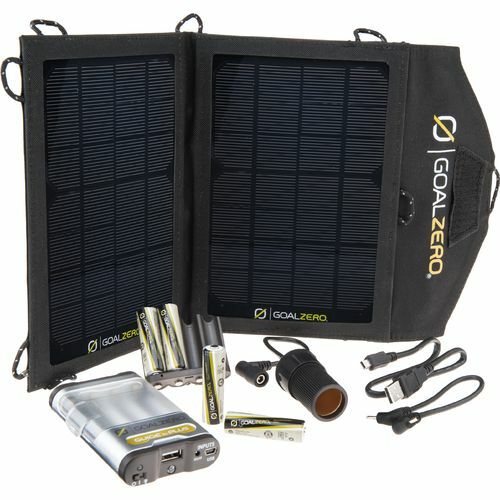 I would absolutely suggest the solar recharging kit to anyone that lives in a sunny climate, being in Arizona, this kit is actually now carried on me at all times, being stored in my truck on the go and in my Camelback pack while riding to make sure my phone, GPS, and GoPro are ready to be charged at a moment’s notice. The Guide 10 Plus Kit is available now for the price of $119.98.